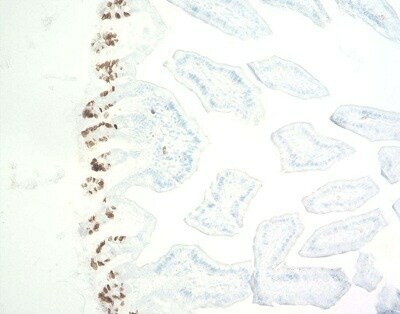 ab125306 is a histochemical staining kit for the detection and localization of bromodeoxyuridine incorporated into newly synthesized DNA of actively proliferating cells. The material in ab125306 is sufficient to run 50 slides. The average test area is defined as a circle around the tissue with an approximate diameter of 2 centimeters. *Trypsin is only required if using formalin fixed tissues. If the tissues are fixed in alcohol, trypsin digestion is not required. Please note that a quenching solution (hydrogen peroxide (30% solution)) is not provided in this kit. Our Abpromise guarantee covers the use of ab125306 in the following tested applications. 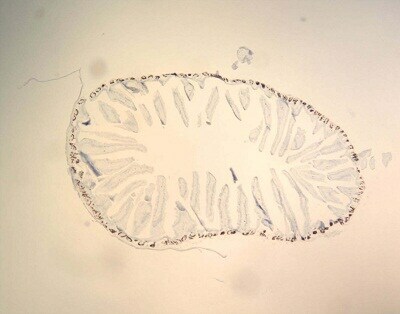 Formalin-fixed, paraffin embedded mouse intestinal tissue sections stained using ab125306. 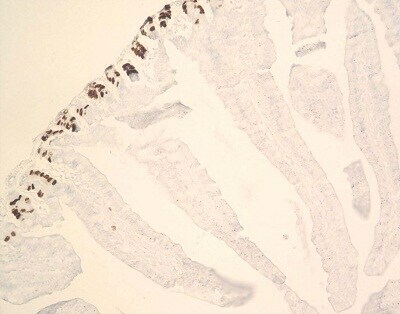 clean-grade SD rat was fasted from 12 h prior to the establishment of the pancreatitis model until 24 h after the model was established, but drinking water was made continuously available. The rat resumed regular intake of food and water thereafter. On day 7 after pancreatitis was induced, the rat was sacrificed by cervical dislocation. At 6 h before the rat was sacrificed and tissue samples were collected, BrdU was administered via IP injection at 100 mg/kg body weight. 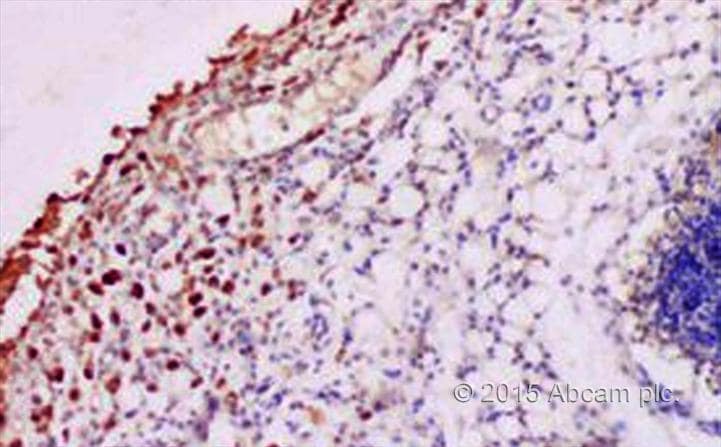 After 7 days of the establishment of pancreatitis, BrdU-positive cells formed cell sheets. Very easy to use, however disappointing results (high non-specific background staining) when used exactly as per kit instructions. Poor compared to ab2284 (also shown in image) which was tested in parallel and which worked very nicely.